Straight Talk in Relationships is a informational audio program that focuses on how to have better communication in relationships. 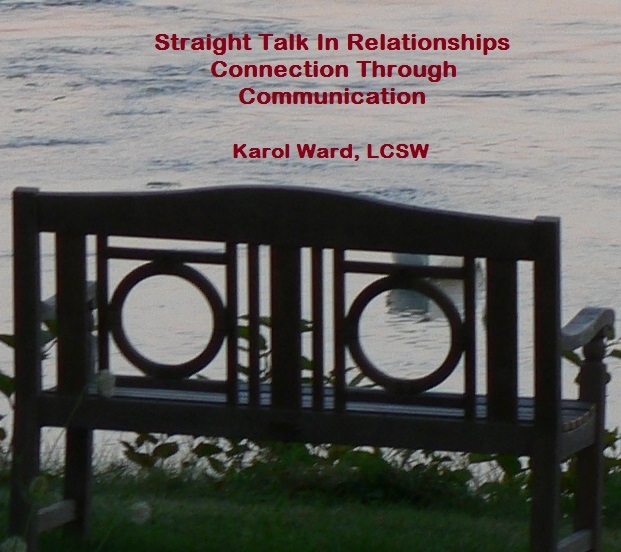 In an easy, relaxed style, Karol Ward, LCSW discusses the specifics of how couples can build stronger and more loving communication with each other. Tools for resolving conflict and building better communication. When you take the time to strengthen the communication with the people you love, you create a heart connection. In this Private Practice Teleseminar, experienced therapist, confidence coach and author, Karol Ward, LCSW will review the specific steps you need to build the kind of private practice you want. Learn how you can take actions in the five different areas of focus that will help you to build your practice.